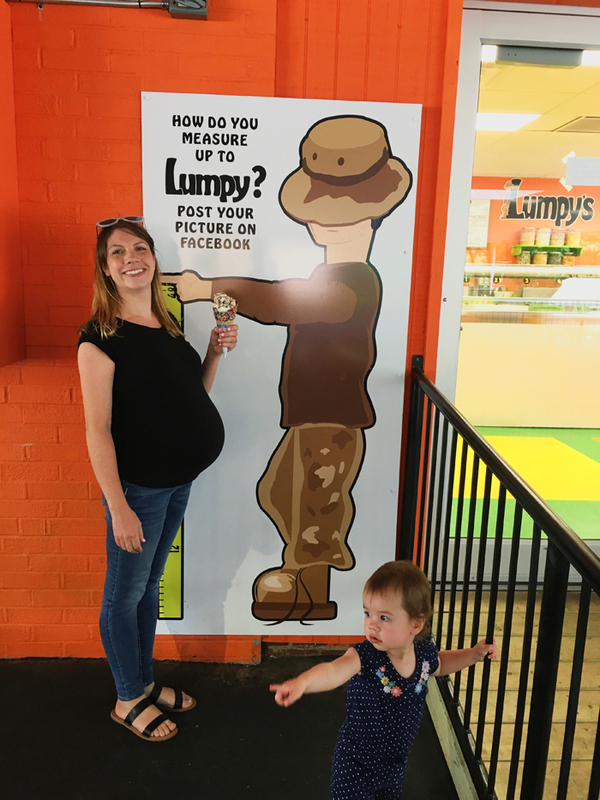 Lumpy’s was what actually inspired the Summer of Ice Cream, I’m fairly certain. We were visiting my parents’ house in Strongsville, and they asked if we wanted to go to a German restaurant in Parma. We said sure and had to drive up Pearl Road pretty much the entire way. While driving, we passed what looked like an old-fashioned drive-in that had signs that read, “Ice Cream” and “Milkshakes.” It looked like a little retro dessert paradise. 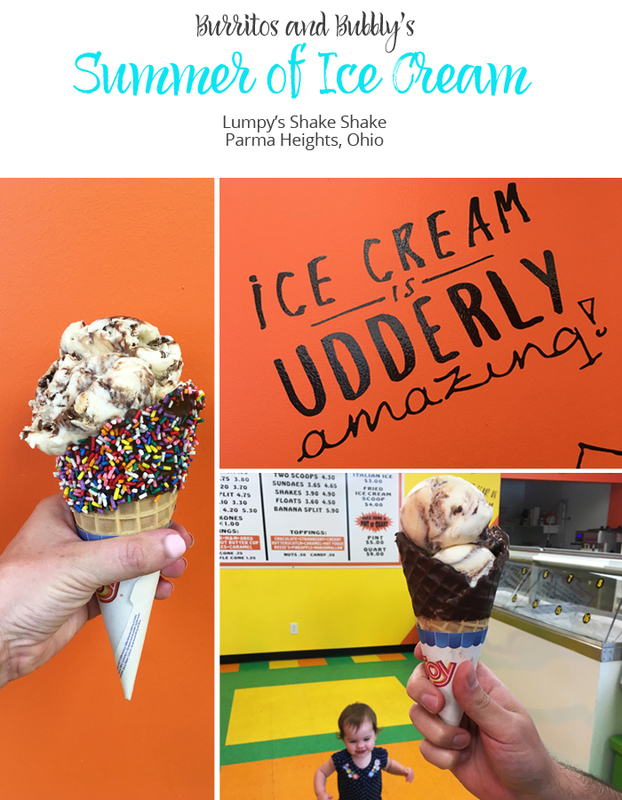 After extensive online searching, Kerry found out that Lumpy’s was indeed real, had recently opened this Parma Heights location (in addition to a location in Brook Park), and she proclaimed we must go there (…and then decided that we should go to a ton of other ice cream places). I’m glad we saw it and started the Summer of Ice Cream, and I’m really happy we ended up trying it out. Getting back there wasn’t easy. Both Google and Apple maps gave us bad directions, but we eventually found it. We also were getting somewhat mixed results when checking online in regards to whether or not they’d be open on the Sunday we went. Lucky for us, they were open. I got a flavor called Elk Prints, which was basically moose tracks. Kerry got Alley Kat, which was cake batter ice cream with Kit Kats! When she heard that’s what it was, there was pretty much no stopping her. She’s a Kit Kat junkie, through and through. Both flavors were really good. They also have a ton of different types of waffle cones, and both Kerry and I got our scoops in the chocolate-dipped variety. 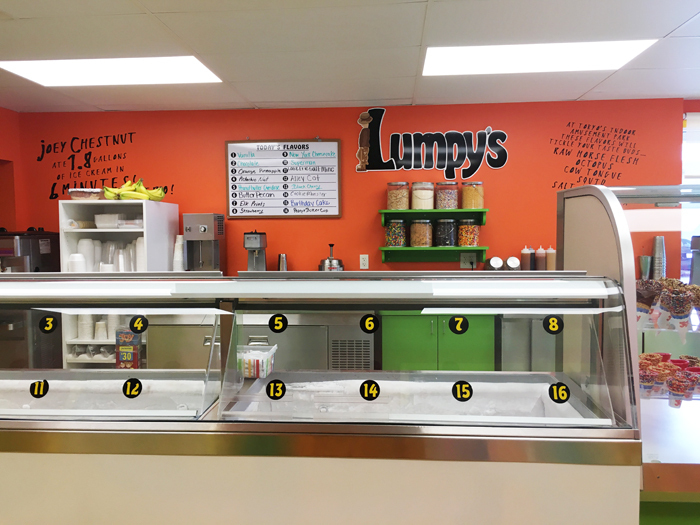 What sets Lumpy’s apart is the retro vibe. We read that this building used to be a Chevy dealer, but it definitely feels like it could have been a drive-in diner. A server skating around serving ice cream cones wouldn’t seem out of place here at all. There’s a covered patio area, so you can enjoy your ice cream outside even in the rain, and they have a drive-through window, which a few cars went through while we sat outside enjoying our scoops. Rating: 5 Lumps, out of 5. The founder of “Lumpy’s” is my friend of 46 years, dating back to Bien Hoa, South Vietnam. He is a talented and genuine gentleman, whose greatest joys are his Wife Karen , Children and Grandchildren. And ice cream. It’s great to hear that there is a “real person” behind the ice cream. Thank you for the comment, Nick!